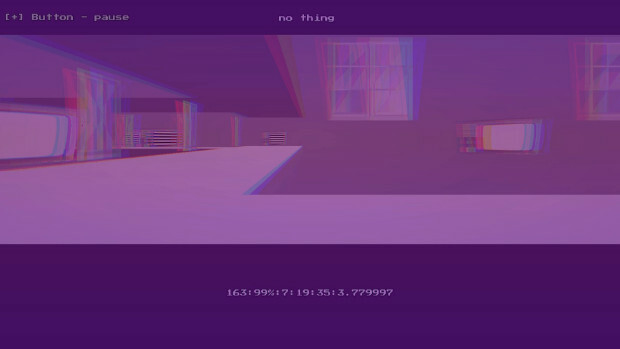 If there ever was a true love it/hate it game, No Thing (Evil Indie Games, 2016) would be a top contender for the title. I'm talking now about the Switch version. The game is a first-person autorunner: there's no stopping the player and the speed keeps increasing with every turn the player makes. The controls are limited to just two buttons: press left/L/ZL to turn 90 degrees left, or right/R/ZR to turn 90 degrees to the right. Feel free to look at Jim Sterling playing it on PC. This means the game boils down to timing the button presses right. Mistimed presses mean falling off the track and having to restart the level. The progress in the level is determined by the turns, as is scoring (one turn is one point). The plot isn't of any real importance. The narrative taken at face value is that the player is an office clerk who needs to deliver a message to the queen of ice. As the level progresses, the player's running speed increases. This means not only that the margin for error is smaller, but also when the player hits a ramp, they'll jump higher and farther. Because the player has no control over the camera, the platform to land on is frequently out of sight and instead, the player needs to "blindly" guess when to press to turn, sometimes even multiple times during one jump. The visuals are very simple: the platforms are all made of boxes of various size with no texture. A fair bit of the surroundings are billboards (they look the same no matter the direction they're viewed from), but there are also "walls" and "windows" that don't matter as they're pass-through (and doing that usually means the player's about to lose the try anyway). The main visual trick is how a random distortion filter is applied on the image. Chromatic aberration, artefacting by swapping viewscreen tiles, different colour filters -- these change every five turns the player makes. Artefacting in level 1. HUD values from left to right: score (turns made), level progress, level, current time (hours, minutes), "difficulty". 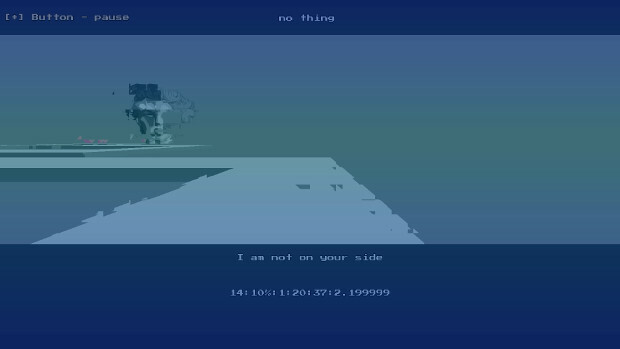 Electronic music plays in the background, and what sounds like a text-to-speech synthesizer narrates the story. Again, the lines happen after certain number of turns has been reached rather than distance or time travelled. The level design is surprising in that it isn't random at all and how most of the levels each have their own "idea". The first level is a "circular" loop, meaning just that the speed increases. A later level is going up and down in an office. It's easy to argue that these blind moves are bad game design, though. This is not to say the level design is without flaws. The first disappointment came soon after the halfway point, when successfully doing corrective maneuvers meant the path stopped appearing in front of the player. The last level, though, completely broke the illusion. I was ready to praise this game to the extent no one here would trust my opinion again, but... no. 1. If a game goes for a simple look, then that look should be without flaw. One difference between a simple look and a slapdash look is if the blocks fit together perfectly. There shouldn't be small gaps. Or occasionally flashing edges. 2. A game in which one mistake means restarting shouldn't delay the restart. The last level grows upwards, and the higher the player has reached, the longer it takes for the game to actually end as the player falls down. Sure, in some lucky cases, the player can recover by accidentally landing on a lower platform (and if they face the right way), but that also makes the failed recoveries sting more. 3. Don't force the player to manually end an attempt. 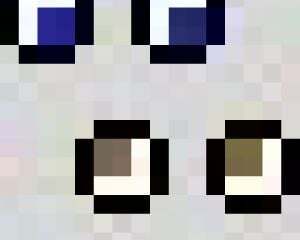 Late in the level, the platforms have wide gaps between them. Running over those gaps works fine and the edge may result in the player jumping as if a marble had a glancing hit with an edge. The issue is when the player is falling from a jump straight into the said gap. The player will be effectively stuck running against the edge, not falling nor getting up, and the only way to get out is to turn sideways and hope there's a platform below. This was an issue in earlier levels, too, but not to this extent. Stuck in a corner between two blocks. Plus, why not round the difficulty indicator 3.779997 to 3.78? 4. If you have a platform to jump from, please line up the platform with the intended landing platform -- especially if the player has this little air control. In total, the game took me a bit over 11 hours (665 minutes, to be exact) and 491 deaths to finish. A no-death playthrough on Youtube is just over 30 minutes. The game ticks multiple boxes for me. It's weird, it's straightforward, it's frustrating and it's compulsive. Definitely for me. But just as definitely it isn't for most people.